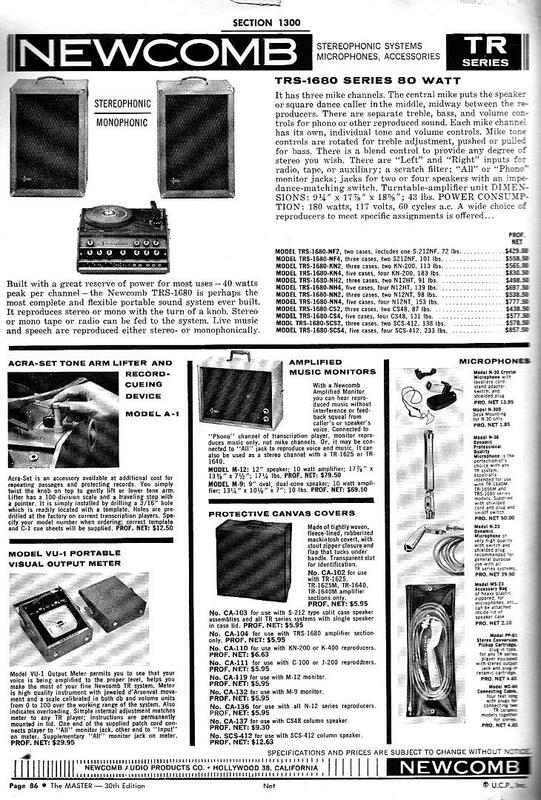 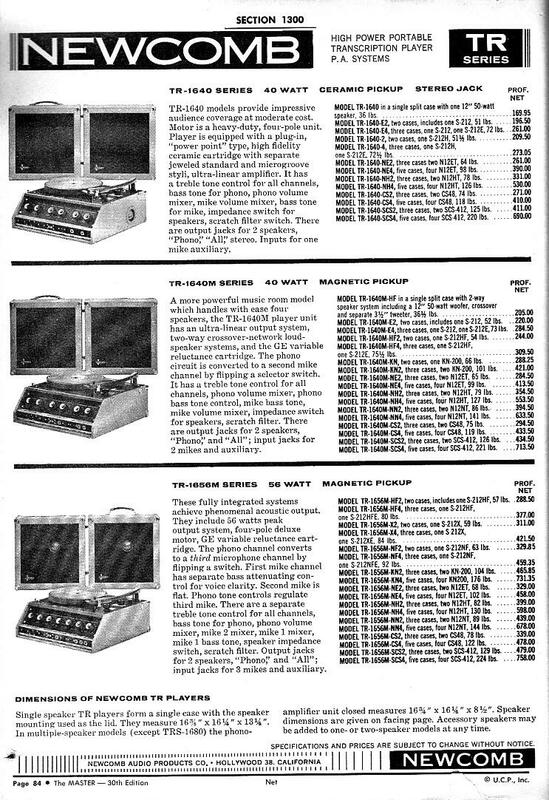 The following are scanned pages from the Dunlap Electronics Catalog, serving California and Nevada. 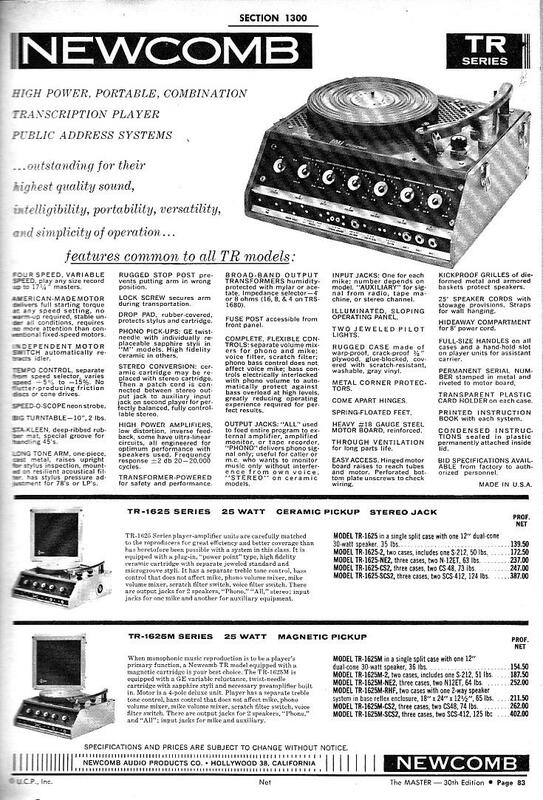 These pages contain prices for the Newcomb TR series transcription players from 1965. 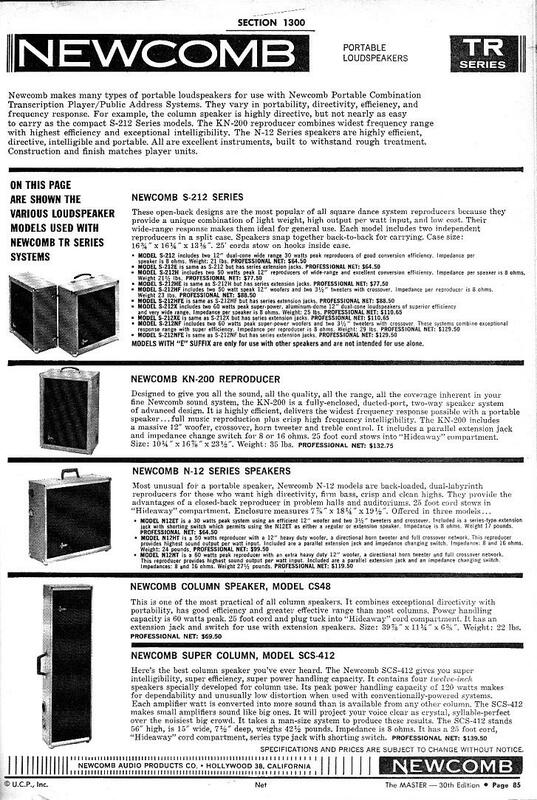 Other Newcomb products are listed in the catalog, but are not offered on this page.